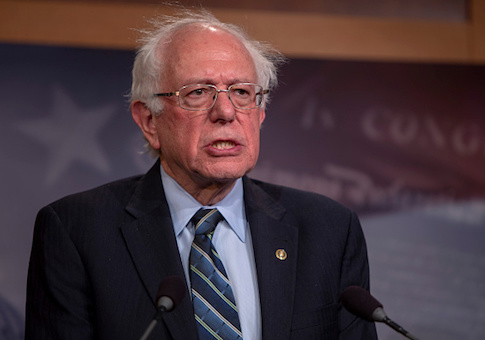 Over the weekend, the New Yorker published a lengthy article, titled "Bernie Sanders Imagines a Progressive New Approach to Foreign Policy," which discusses the senator's views on America's role in the world. The author, Benjamin Wallace-Wells, interviewed Sanders earlier this month for the piece. "In Sanders's account of global affairs," Wallace-Wells wrote, "Americans have been as likely to be villains as heroes. Six trillion dollars had now been spent on the war on terror since 2001."